Global development is about helping disadvantaged communities rise above poverty. To do this we have to understand the financial as well as social cost of inaction. Chaltu (5). from the Fentale District, Ethiopia. May 5, 2017. Photo by Jake Lyell for ChildFund. When I first became involved in global development work it was easy to see what drew most people to it. NGO workers, it seems, are invariably idealistic and caring. What happens to fellow global citizens in far-flung corners of the developing world matters to them, profoundly. Global injustice and rising inequality troubles them greatly. They care about the the plight of whole communities where services and supports for people, especially children, are almost non-existent. They want to do something about that in their own small way. Simply caring though, while eminently commendable, is not enough. We also have a responsibility as NGO workers to help foster an understanding of global development amongst our fellow citizens so they can support our work to create sustainable outcomes. To do that we have to appeal, not just to the heart – but to the head too. Protecting children: a moral and social obligation..
Child protection in one guise or another encapsulates all the work that Childfund does for children. Our goal is to provide a stable platform for children, supporting them in everyday aspects of their lives, and supporting their primary carers in ensuring their rights are protected and their needs prioritised. In practice that can mean anything from installing water pumps, removing the need for children to undertake long exhausting journeys each day to source water, it can mean providing safe spaces for them in our ECD centres, it can mean supporting their parents with home visits and health checks, it can also mean educating parents on better nutrition for children and supporting them to manage household finances so that they can better provide for their children. Our view of child care therefore is organic and all encompassing. It all comes back to Poverty.. Poverty and economic disadvantage is the black cloud that dominates global development. It is the fuel that drives disadvantage. It is the reason why we do what we do in ChildFund. Poverty is like a disease that permeates society and enslaves communities. It traps people in a cycle of disadvantage and perpetuates a way of life that means people in the developing world can never hope to enjoy the same qualify of life that people in the privileged world of developed nations take for granted. We can do something to stop this, and we are. ChildFund’s way of working is to interact with communities and trusted partners on the ground to first identify problems impacting children and their carers, and then deliver what those communities need. Their needs can be manifold but smart, targeted action can raise the bar in these rural communities where people have so little and help children in a host of ways. Access to education is a major problem for many children. Education is one of the most likely escape routes to help people break the cycle of poverty. If we support young girls to have the same quality of education as boys for example, there is less chance of them being forced into early marriage in their teens. We work with children to given them the best possible start in life, in their hugely important formative years. ChildFund’s ECD (Early Childhood Development) schools (essentially pre-schools) have provided spaces for young children to be cared for and to develop physically, cognitively and socially – in places where no such services previously existed. As a result, children moving to primary school from our ECD centers are performing significantly better in the formal school system. Children supported by our child sponsorship programme have moved into professions such as nursing and teaching as young adults, availing of opportunities that would otherwise have been beyond their means. Our interventions have provided a platform for a better life -which is all that people in the developing world would ever ask for – a fair chance, just like anyone else. The moral argument of why we need to help those more disadvantaged that ourselves cannot be disputed. The statistics speak for themselves – more that two billion people dont have access to clean water or basic sanitation, a child dies every 3.5 seconds as a result of poverty, one quarter of humanity lives without electricity (endpoverty.org). Statistics like these dont just demand action, they should be a wake up call to humanity. Its easy to highlight the human dimension of child protection, the unbearable toll that something like child labour or GBV can have on millions of children’s lives. Most of us understand how damaging these practices can be, we can rationalise the moral and ethical arguments against them with ease. Its much harder however to talk about the quantification of all that suffering, to monetise the very cost of inaction on global society and make the economic case – but do that we must. What is perhaps more difficult to consider is that there is also an economic cost to our inaction. In blunt terms, not helping people costs us more money than the sums we currently spend on global development initiatives. in fact it costs a staggering amount…..
As one of the leading child-focused NGO’s in the world, with extensive experience working in as many as sixty developing countries worldwide, ChildFund understands these dynamic only too well. In 2014 ChildFund Alliance teamed up with the Overseas Development Institute (ODI) to produce a groundbreaking report:’The Cost’s and Economic Impact of Violence Against Children’. One of the most startling findings to emerge from this report is the overall global cost of violence against children – an enormous $7 Trillion. A titanic figure on this scale provides grim testament to the sheer scale of the problems afflicting children, and underscores why it is now a global priority issue. This figure easily exceeds that of all the investment that is necessary to combat it, again making both a moral as well as financial case for action. The annual cost of child labour; a practice that blights the lives of millions of boys and girls, is some $97 billion. Children’s association with armed forces or groups and in various conflict zones is estimated to cost the world $144 million. These substantial findings underscore not just the urgency but also the wisdom of tackling violence and exploitation of children. ChildFund was able to draw on the findings of the 2014 report to empower our intensive lobbying and advocacy efforts at UN level, contributing in no small way to the final wording of Goal 16.2 of the Sustainable Development Goals (SDG’s or Global Goals). This was the first time children’s right to be free from violence and exploitation was explicitly adopted by the international community as nothing less than a global priority. the 2014 report helped us make that case for children. This year ChildFund released another hugely important and groundbreaking piece of research. 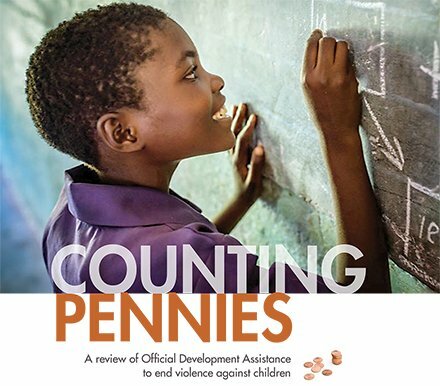 The ‘Counting Pennies’ report seeks, for the first time, to quantify the actual amount of month spent by governments in tackling violence and exploitation of children. It found that in 2015, total ODA (Overseas Development Assistance) spending was $174 billion and of that, less than 0.6 percent was allocated to ending violence against children. 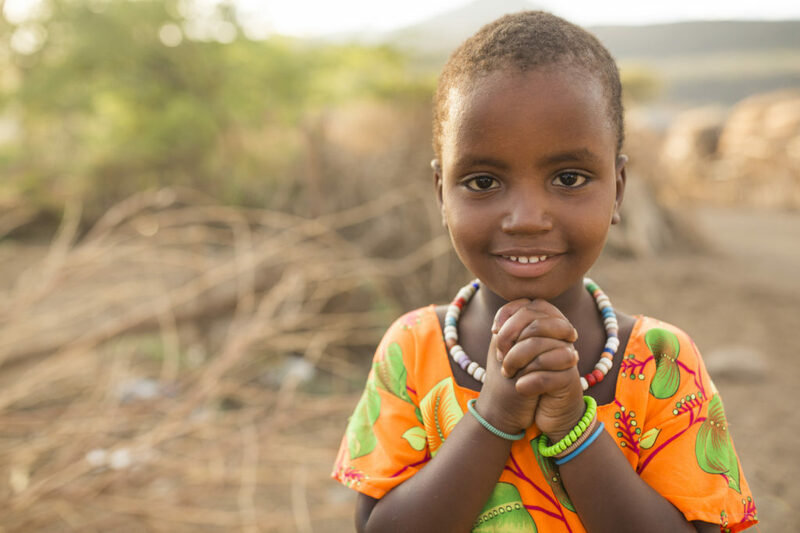 This amounts to less than $0.65 per child in aid-receiving countries to end this scourge that affects more than one billion children every year. What Counting pennies tells us is that we are not doing enough. It tells us that governmental spend internationally does not yet reflect the global priority that child protection became, when it was explicitly enshrined in SDG 16.2. It cannot be overstated how important it is to understand these failings because they help direct our advocacy efforts, and in turn, will help ChildFund and other child-focused fight for children, ensuring that policies are put in place and that initiatives to protect children are adequately funded. Child marriage is a pervasive, culturally-accepted practice in many parts of the developing world that gravely harms girls and young women. It robs them of their opportunity…their very right..to a full education, and of the right to determine their own futures. It causes untold physical and emotional damage. While there can be nothing to excuse this abhorrent practice, it behoves us to understand what empowers it. Time and time again in development we come back to one overriding, inescapable imperative – Poverty. Research like ChildFund’s 2014 ‘Cost of Violence’ report and the 2017 ‘Counting Pennies’ report, as well as other reports that quantify the cost of inaction, play an absolutely vital role in expanding public knowledge about the work of international development – and by extension, the work of NGO’s like ChildFund. They help citizens understand why the Irish government, through Irish Aid, supports the work of international development by providing ODA (Overseas Development Assistance). Understanding the financial cost of our failure to adequately tackle vital social problems, helps us to make a powerful and overwhelming case for action.